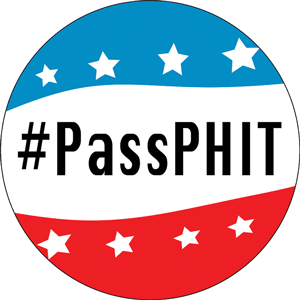 BOSTON, MA - IHRSA announced its support for the Personal Health Investment Today Act (PHIT), just newly introduced into the 116th Congress. The legislation champions Americans in their efforts to live healthier lifestyles by making it easier to cover exercise expenses with pre-tax dollars. IHRSA's pivotal role in promoting this bill is part of its broader leadership stance in advancing physically active lifestyles in the battle against chronic disease and out-of-control health care costs. "We congratulate and thank Senators Thune and Murphy and Representatives Kind and Kelly for recognizing that we can't fix our health care problem without addressing the largely preventable diseases that drive so much of the spending," said Helen Durkin, IHRSA Executive Vice President for Public Policy and President of the National Coalition for Promoting Physical Activity (NCPPA), a coalition of over 40 of the leading national health promotion organizations advocating for policies that encourage Americans of all ages to be physically active. PHIT is federal legislation that would let people use pre-tax accounts, like Health Savings Accounts (HSA) and Flexible Spending Accounts (FSA), to pay for qualified fitness expenses, including youth sports fees, exercise equipment, health club membership and other exercise costs. If passed, families could use $2,000 pre-tax for fitness activities, and individuals could budget up to $1,000, effectively saving consumers 20% to 30% on exercise costs. Senators John Thune (R-SD) and Chris Murphy (D-CT) introduced PHIT (S.680) on March 6, 2019. Representatives Ron Kind (D-WI) and Mike Kelly (R-PA) introduced PHIT (H.R.1679) into the House on March 12, 2019. "Exercise is extremely instrumental in helping to prevent many costly chronic diseases and in supporting good mental health for people of all ages," Durkin continued. "The universal appeal of this particular bill is that it supports people in their personal efforts to take charge of their health and lead more physically active lifestyles by giving them greater choice in how their health care dollars are spent."